It's been almost a decade now since the smart grid concept started to gain steam as a solution for improving our nation's aging electric infrastructure. While we’ve seen technology transform almost all aspects of our lives over the last couple of decades, our aging power grid had not really been modernized to match. The smart grid was proposed a solution to bring the grid up to speed with other aspects of our technologically advanced modern society. By adding smart sensors, smart meters and other communications technology to the grid, it was promised that we could create a vastly improved power grid that would have a number of benefits to our society. Reliability would go up, meaning fewer blackouts, brownouts and power surges. Outages could be addressed remotely, meaning shorter down times following hurricanes, snow storms or other major events. And clean energy technologies, like solar panels, batteries and electric vehicles, could be much more easily incorporated into the power grid, enabling a significant reduction in greenhouse gases. 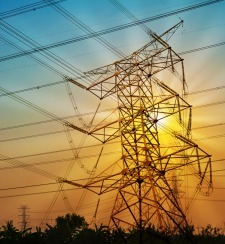 Essentially, a smart grid would operate much more efficiently and economically. However, at the time, this was mostly theoretical. Few Americans actually had smart meters on their homes, and few electric utilities had really begun updating their infrastructure. But today, about half of electricity customers in the United States now have smart meters, and electric utilities have invested billions of dollars in updating and modernizing the electric grid. With all of the progress that’s been made, have we actually been able to realize and calculate the benefits to our society from this considerable investment? As a case study into the realized benefits of smart grid investments, let’s take a close look at Illinois. Why Illinois? Well, for one, the state has shown considerable leadership over the past decade in developing a smarter, cleaner and more efficient power grid. In fact, according to a recent report, the Land of Lincoln trails only California in this area. Back in 2011, the state’s legislature passed the Energy Infrastructure and Modernization Act, or “smart grid bill”, which allowed ComEd and Ameren Illinois, the state’s two largest electric utilities, to invest over $3.2 billion to upgrade and modernize the state’s power grid. The smart grid bill also allotted funds toward consumer outreach and education to ensure that the citizens of Illinois were kept up to date on how they can benefit from the updates to energy infrastructure and related programs. So, how has Illinois been doing? According to recent numbers from ComEd, who serves about 70 percent of the Illinois population, the smart grid has already shown numerous, tangible benefits in the state. For example, in 2017, ComEd customers experienced a 10 percent reduction in the frequency of outages compared to 2016. However, when we look at the change from 2012, when ComEd began their smart grid journey, we see that the frequency of outages from ComEd customers has been reduced by nearly 46 percent and the duration of outages has decreased by 47 percent. Due to investments in smart grid technology, specifically “smart switches”, which automatically reroute power around potential problem areas, there have been more than 7.7 million avoided customer interruptions from 2012 to 2017. This improved reliability not only improves customers’ lives, but it has had major implications to the area’s economy. In fact, it’s estimated that these 7.7 million avoided outages have resulted in approximately $1.5 billion in societal savings! Investments in smart meters, a key component of the smart grid, have also had much more direct cost savings for electricity customers in ComEd’s territory. With smart meters installed in their homes, customers now have the option to enroll in potentially money-saving programs, like ComEd’s Peak Time Savings, where participants earn financial incentives by simply reducing energy usage during just a few peak demand hours. From 2015 to 2017, ComEd estimates that nearly 170,000 customers earned over $1.2 million in bill credits through this smart meter-enabled program. And, in fact, a study that published in late 2017 found that 97 percent of a sample of ComEd customers would have saved money in 2016 – even without changing their home electricity use – had they participated in a “real-time pricing” program like Peak Time Savings. The report found that these real-time pricing programs would have trimmed bills for the average ComEd customer by $86.63 annually, or 13.2 percent less than they paid under the traditional flat-rate plan. Total savings for households in the study were estimated at nearly $30 million. Further, as ComEd seeks to fulfill its obligations to the 2016 Future Energy Jobs Act, which moves Illinois toward a new clean energy economy, investments in the smart grid will more easily and efficiently enable the integration of clean energy resources, like wind, solar, electric vehicles and batteries. It’s expected that this bill will create an additional $4 billion in consumer savings and reduce the CO2 equivalent to removing 18 million cars from the road! Using Illinois as an example, we can see that the smart grid clearly has lived up to the many benefits, both personal and societal, that experts predicted over 10 years ago. The smart grid is the foundation for developing an economy that is both cleaner and smarter, and as more states follow the lead of Illinois in modernizing their power grid, we expect to continue to see similar benefits across the U.S.
To learn more about our interconnected future of energy, check out the Internet of Things: Connecting You With the World of Power infographic. To review the basics of the smart grid, read our Smart Grid 101.